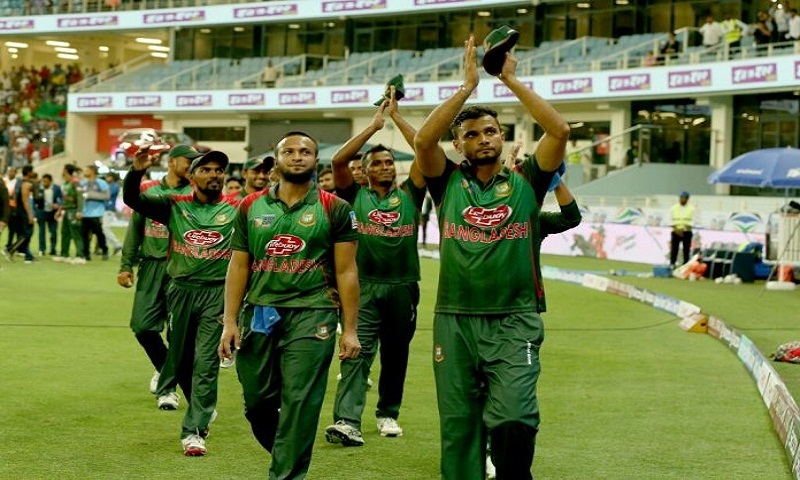 Bangladesh aim to repeat their 2015 history as they take on Pakistan in the crucial sixth super four match of the ACC Asia Cup scheduled to be held today (Wednesday) at the Sheikh Zayed Cricket Stadium in Abu Dhabi, the United Arab Emirates (UAE). The match kicks off at 5.30 pm (BST). It will be the must win game for both Bangladesh and Pakistan to secure the semi-final with an aim to set a title clash against India on September 28. Before the big super four match, Bangladesh can take inspiration of their sweet memory of whitewashing Pakistan in their home soil backed in 2015. The Tigers had handed them a 3-0 ODI series whitewash making it first such instance in Bangladesh cricket. However, having made 12 appearances in 13 editions of the Asia Cup in 34- year long history, Bangladesh’s best performance being finishing second in 2012 and 2016 editions. The Tigers were denied their maiden title by Pakistan in the 2012 edition in a closely fought final match, missing out by just two runs. It was the Tiger’s maiden entry to the final. Chasing 237 in the final against Pakistan, Bangladesh came agonizingly close to the target before finishing at 234. The 2016 edition was the first to be played in the T20 format where Tigers were dismissed by India in a rather one-sided finale as India won the title for the record sixth time. Both the teams are coming after winning their fixtures against Afghanistan in a last over thriller after losing against India. Bangladesh lost their fixture against India. They were outwitted by comeback man Ravindra Jadeja as he scalped four wickets while Bhuvneshwar and Bumrah picked three each after Bangladesh were bundled out for 173. Chasing 174 was never going to be tough for the mighty Indian batting line up and the Indian openers ensured that they finished their chase with ease. However, Bangladesh’s biggest concern is their batting. Opener Tamim ruled out of the tournament due to injury problem, Bangladeshi openers have failed miserably. Star allrounder Shakib Al Hasan also has not lived up to the expectations. The bowlers too have failed to stifle the scoring. Experienced Bangladesh old season campaigner Mashrafe Mortaza has been leaking runs too. He has the highest economy rate than any other bowler in the tournament. He has conceded 184 runs in his 29 overs in four matches. Problems are aplenty for Pakistan too as pace spearhead Mohammed Amir, who seems to have lost sting and is struggling to take wickets, which is his primary job, and which was reiterated by his skipper Sarfraz Ahmed on the eve of the group game against India. Sarfraz’s words didn’t have the desired effect as Amir and Co failed to deliver. If Bangladesh put up a spirited performance, they might end up being in the finals this time around also. For this to happen, the senior players like Mushfiqur Rahim and Shakib Al Hasan need to step up. Pakistan: Fakhar Zaman, Imam-ul-Haq, Babar Azam, Shan Masood, Sarfraz Ahmed(captain), Shoaib Malik, Haris Sohail, Shadab Khan, Mohammad Nawaz, Faheem Ashraf, Hasan Ali, Junaid Khan, Usman Khan, Shaheen Afridi, Asif Ali and Mohammad Amir.